Specialist Four Brand was a man whose memory will live in the hearts of those who knew him, a constant reminder of the dacrifice that a true America will make so that not only his family but all of the families of the world may live in peace. Carol died Sept. 23, 2000 at her home in Albany, Oregon. She was a devoted wife (husband Wayne Smathers) and mother (daughter Christine and son Doug). 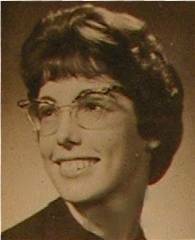 After QHS graduation, Carol attended WSU and graduated in 1967 with a BS in bacteriology. She was married in November 1967. The family lived in San Jose, California before moving to Eugene, Oregon in 1975 where Carol served as finance director of Lane County Camp Fire Girls and Boys and volunteered as executive secretary for parish priests for 14 years. After moving to Eugene, Oregon in 1989, Carol became the human resources manager of Panolam Industries, Inc.
Carol enjoyed gardening, traveling, golf and her family. We remember Carol as an excellent student and a very social person as well. She was involved in Camp Fire Girls in Quincy for many years, was a dear friend to many, and shared enthusiasm for life with those whose privilege it was to be around her. The class of 1963 will miss you, Carol! Virgil Ray Solders, 63, of Quincy, went to be with his Lord and Savior on Sunday, February 10, 2008, surrounded by his family at his home. from 1966 to 1970 with his honorable service in the United States Air Force where he was stationed in New York and Turkey. He taught junior high art and shop, later in Quincy. Upon his father's sudden death In 1974, Virgil returned to Quincy where he and his brother, Arlen, helped their mother run the family farm for several years; then worked at the George Chevron station for many years. In 2003, Virgil began his courageous battle with cancer, but enjoyed several years of remission. In 2006, his illness returned and he fought an even harder battle until Jesus too him home. He gave one last smile, assuring his family that all was well. Virgil is survived by his loving mother, Bonnie Solders Pickthorn at home; his sister Bonnie Kaye Morton of Boise, Idaho; brother, Arlen Solders and wife, Dyanne, of Quincy; nine nieces and nephews, twenty-four great nieces and ephews; one great-great niece; one great-great nephew, all whom he loved as if they were his own; and, his special canine companion, Cocoa. Virgil was a life-time member a the V.F.W. He was preceded in death by his beloved father, Earl Solders, his dear brother-in-law, (Robert) Bob Morton, add his precious nephew, Steven Morton. For the angel to call. On November 15, 2009, this beloved wife, mother, grandmother, great-grandmother and business owner ended her struggle against cancer. Corda was born on June 10, 1945, in Seattle, WA. She lived in Seattle until 1951, when her family moved to Winchester, WA, where Carl and Charlotte (Lottie) White raised this young lady. 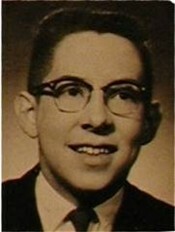 Corda attended Quincy schools, graduating from Quincy High School in 1963. She attended, as a full-time student, and completed two years at Wenatchee Junior College, where she met her husband, Larry, later fulfilling 44 and a half years of marriage. Corda spent many years in the dietary field, completing a two-year dietary course at Spokane Community College, then becoming a longtime a member of the Washington State Dietary Managers' Association and the National Dietary Managers' Association. From 1979 to 1992, Corda was the dietary manager for Garden Terrace. Since 1992, she and her husband have owned and operated the Sub Shop. brother, Carl Jr. of Enumclaw. Her family and all who knew her will sorely miss Corda and her effervescent love and laughter. The Russell family gratefully acknowledges the following professional individuals and organizations: Seattle Cancer Care Alliance and the associated University of Washington Medical/Hospital/Surgical staff; the ICU and Emergency Room personnel of Central Washington Hospital, for their most thoughtful and caring assistance; the Chemotherapy staff at Wenatchee Valley Medical Center, who provided tender and thoughtful professional care and made the monthly visits of nearly a year more enjoyable than a time of anxiety for Corda; and the entire staff of the Oncology Department at Wenatchee Valley Clinic was genuinely a friend of Corda and her family, and for this her family is most appreciative. Corda and her family members could not and cannot fully express their love and admiration for the outstanding competence, professional ability, knowledge and compassion that was forthcoming and provided by Dr. Mandy Robertson, from June 2008, to the day of Corda's passing; a time that Mandy shared her tears with our grief and we shared our tears for Dr. Robertson and all the professional and personal strength she gave Corda and each family member who had the honor of meeting and knowing Dr. Mandy Robertson. You will always be loved and remembered by this family. Donald Melvin Hardt, 68, a long time Quincy resident passed away on Wednesday, April 23, 2014 at Central Washington Hospital following an accident at his home. He was born on April 29, 1945 to Melvin and Pearl (Phillips) Hardt at Ritzville, WA. 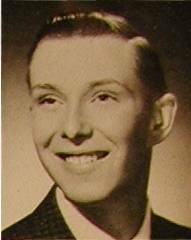 Don started school in Marlin school district before the family moved to Quincy in 1958, he attended school in Quincy graduating in 1963 from Quincy High School. He entered the National Guard on January 29, 1966 serving until his honorable discharge on September 28, 1971. Following his military discharge he returned to Quincy where he was employed in the fruit industry until 2 years ago when he retired. Don was active in the Quincy Moose Lodge and the Quincy American Legion. He was a good friend to all will be greatly missed. Don is survived by is sister, Miriam (Brian) Hawkins of Lynnwood, brother, Duane Hardt of Quincy, step-sister, Peggy Thompson of Yakima and step-brother, Richard Cornwell of Yakima, 5 nieces and nephews and 4 great-nieces and great-nephews, many uncles and aunts. Donald Eugene Simmons passed peacefully on Saturday, November 22, 2014, in Yucaipa, CA, surrounded by his family. Don was born on June 18, 1945, in Wenatchee, WA to Don and Irene (Zimbelman) Simmons, while his father was serving in the Pacific Theater during WWII. 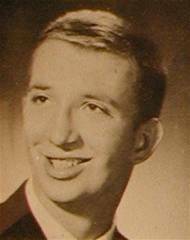 Don grew up in Quincy and graduated from Quincy High School with honors in 1963. 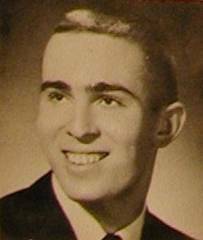 He then attended Pacific Lutheran University in Tacoma, where he graduated in 1967. Immediately upon graduation, he attended the University of Washington School of Medicine in Seattle, graduating with his Medical Doctor degree in 1971. He met his wife, Barbara Abrams, while attending medical school. They married in June, 1969. Don completed his Internship and Residency in OB/GYN at the San Bernardino County Medical Center. While an intern, their daughter, Mara, was born. Three years later, during Don’s residency, they were blessed with their second daughter, Amy. In between his internship and residency, Don completed his service obligation to his country as a General Medical Officer in the United States Air Force at Norton Air Force Base, San Bernardino, CA. Don spent his entire medical career practicing in Southern California. He estimated that he delivered between 5,000 and 6,000 babies during his 43 year career. Don loved caring for pregnant women and delivering their babies… except in the middle of the night! Don retired from practice January, 2014. While practicing medicine, Don also enjoyed involvement in multiple professional organizations, such as The American Medical Association (AMA), The California Medical Association (CMA), The San Bernardino County Medical Society, and the American Medical Informatics Association. Don was also a Diplomate and a Fellow of the American Board of Obstetrics and Gynecology (ACOG). Don had many interests that occupied his free time. He loved electronics, woodworking, and computers, but among his favorites were airplanes, helicopters and trains. Along with his friend, Jack, he built a replica of the Galloping Goose from the D&RG Railway. He was hoping to build his own ultralight aircraft in retirement. Don is survived by his loving wife of 45 years, Barbara; his daughter, Amy and her husband, Brian Beran; Don’s pride and joy were his twin two year old grandsons, Jack and Nathan Beran; Don’s father, Don B. Simmons of Quincy, WA; his sister, Sue Gabales of Manteca, CA and her husband, Ted Gabales; Don’s brother-in-law, Ronald E. Abrams, M.D. and his wife, Marina Abrams, N.D., both of Seattle; and a niece, three nephews, aunts, uncles, and numerous cousins. Don was preceded in death by his daughter, Mara, in 1994; his mother, Irene, in 2008; and his mother and father-in-law, Malvin and Vicki Abrams. Don will be greatly missed by his family, friends and colleagues. Services for Don will be held on Saturday, December 6, 2014, in Yucaipa, CA. In lieu of flowers, the family requests donations be made to The Donald E. Simmons, M.D., Memorial Scholarship Fund at Pacific Lutheran University, Office of Advancement, Tacoma, WA 98447. This scholarship has been initiated by Don and Barbara to support a pre-med student at PLU each year in perpetuity. Ronald Roger Kissler of Quincy, Wash. passed away on June, 27 2016. Ron was born in Toppenish, Wash. on June 24, 1945 to Ben and Dorthy Kissler. He moved to Quincy at the age of 7 where he attended school and later graduated. 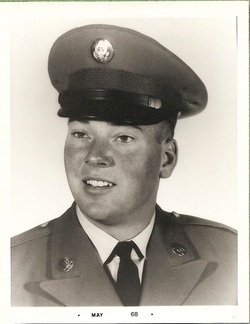 After high school Ron was drafted to Vietnam where he served from 1965-1967. After returning home he served as a reserve for several years. Ron would later go on to establish his own construction business in Quincy, Wash. He is survived by daughter Ronda Eubanks, son Dustin Kissler, sister Sharon Kirkpatrick, and sister Dianna Keppler. Services will be held at 2 p.m. July 11 at American Legion Post 28, Ephrata, Wash.
Judith Carol “Judi” Sutton, 72, of Hillsboro, Ore., died Thursday, March 8, 2018, after a brief battle with cancer. She was born March 22, 1945, in Wenatchee to Lester and Vivian Bepple, of Quincy, and was the firstborn of eight children. 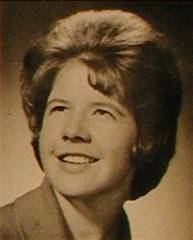 She attended schools in Quincy, graduating with the class of 1963. She lived most of her adult life in the Portland metro area, where she raised her three sons, Brian, Chris and Bill. She worked as a secretary and outside salesperson for Coca-Cola, TRW and Earl and Brown – where she met many lifelong friends. Judi was a kind-hearted woman who offered help to anyone she saw who had a need. As the oldest daughter, Judi was often called upon and willing to help out her family; something all of her siblings are grateful for. She loved her three sons unconditionally and never had a favorite. She was always very accepting and would set aside time whenever any of them needed her wisdom. She always put her children first. Judi enjoyed her friendships immensely after her retirement and spent much time with friends doing jigsaw puzzles, reading, going out to lunch, exercising and just enjoying one another’s company. She was very close with members of her high school graduating class and was looking forward to her 55 year class reunion in September. Her favorite place to be was at the beach, and she spent as much time as she could at the Oregon coast. She was known for her courage, bravery and unconditional love, always lending a hand to anyone and an ear to listen without judgement. She was a positive person and had the ability to see the bright side of things and help others to see that too. Judi donated her body for research to help find a cure for cancer. 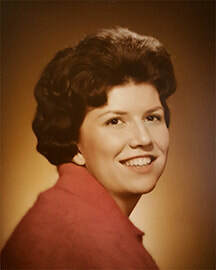 She is survived by her sons, Brian Burns, Chris Burns and Bill Sweet, all of Hillsboro, Ore.; four sisters, Cindee Ford, of Turlock, Calif., Mary Siefken, of Lynn Haven, Fla., Jeanette Gallagher, of Parker, Colo., and Sheila Bierlink, of Quincy; one brother, Ken Bepple, of Mulino, Ore.; and numerous nieces and nephews. She was preceded in death by her parents and two sisters, Kathie and Debi. The family wishes to thank Patti Cooksie for her tireless care for Judi in her last days. A gathering will be held at a later date. Anyone interested in attending a gathering should email bill-sweet@comcast.net. You would be contacted when the event occurs. Knapp Jr., Theron, 73, of Meridian, died Thursday, May 17, 2018 at his home. I went to W.S.U. for one semester, then worked for an engineer for two months, then to W.V.J.C. for four quarters where I met my wife Laura. We were married the following year, September, 1965. Then to school at W.W.S.C. for one year the following fall. We moved back to Wenatchee in December of 1966. I am presently working as a Quality Control Manager for Kawecki Chemical Co. We have one son Mike, born February 25, 1967. Laura Knapp (wife), Mike, 46, manager with Micron Technology in Boise, married to Cathie for 27 yr. Mike's kids; Tom 25 married, supervisor for Wells Fargo, Rachael, 23, BSU grad, tech for Boise data management firm, Elizabeth, Jr at Univ. of Oklahoma, Caleb, 17, recent HS grad. Son, Jon, 43, married 16 yr to Joan, teaches at the college level, Joan is also a college prof, Ellery, 12 and 9 yr old twins Theron and Georgia. What I’ve been doing for the past 50 years. I was a manufacturing and factory manager for my nearly my entire career. I retired in mid-2011 after spending 13 years as the director of manufacturing for Idaho Correction Industries. I work part time in retirement as a manufacturing consultant to the manufactured housing industry serving the oil fields of northern Canada. Although a college graduate, what I am the most proud of is my family. I have been married to the love of my life Laura for 48 years. My sons are both college graduates with great families and they are both super dads. I build furniture as a hobby and also sell some. I play in 3 softball leagues and play golf. Laura and I love to travel both in our RV and internationally. Make sure you have a good balance between your family and your career.